With the season in full flow now both of these teams would be expecting more points on the board than what they start today with. To call it a 'six-pointer' so early is unwarranted but with poor performances in their previous outings, both City and Wednesday will be desperate to start accumulating points and climb up the table sooner rather than later. Manager Lee Clarke signed Manchester United and England U21 sattacking midfielder Jesse Lingard in the build up to the game and he goes straight into the starting lineup to make his debut. The Owls also have added to the books with signings of Roger Johnson (on loan from Wolves) and Stephen McPhail(free agent). Debutant Jesse Lingard gives away an early foul on Jordan Spence but the Birmingham back-line see away the danger with ease as Wednesday start with impetus. Moments later and stand-in striker Michail Antonio is upended by midfielder Tom Adeyemi but again the home defence stand strong and clear Stephen McPhails set-piece. On the 5th minute Antonio is again causing problems and forces Darren Randolph into a save before City see a quick attack halted with Spence clearing David Murphys whipped cross. The resulting corner is taken by Chris Burke but Kamil Zayatte reacts first and hacks away the danger. The Blues start pressing now and Wednesday are thankful to Johnson, David Prutton and Zayatte again who in turn stop the City strikers latching onto dangerous crosses. An 11th minute corner by Burke is met by Swansea City loanee Kyle Bartley but his header flies wide of the post before Liam Palmer has the same result from a shot at the other end. An unfair challenge by Jacques Maghoma on Wade Elliot results in a free-kick which the former Burnley man takes - only for Zayatte to again clear. The respite is short though as on the 19th minute Chris Kirkland does well to save a Burke shot at goal but the ball falls at the left foot of Lingard who has a simple finish to give Birmingham the lead. The home side look to add to the pressure when Reda Johnson concedes a foul against Bartley but the former Sheffield United player delivers a poor free-kick, cleared by Spence. On the 25th minute Roger Johnson blocks a Matt Green shot at goal as Wednesday fail to get to grips with the game amid misplaced passes and lack of options. Birmingham almost capitalise on their lacklustre opponents when Burke is fouled by Reda Johnson and Kirkland keeps out a Lingard shot following the free-kick. Moments later though and the Manchester United loanee is celebrating, a calm right-footed finish beating Kirkland with the assist going to Elliot, a dream debut so far for the youngster! That goal sees a change in tactic by Dave Jones as he replaces Palmer with a striker, Atdhe Nuhiu on the 29th minute - putting Antonio onto his favoured wing. A 31st minute shot at goal by Green flies wide moments before the dream debut is capped, a hat-trick goal for Lingard as he converts Paul Robinsons ball and sends the home fans into celebration. Bewildered Owls fans don't know what exactly has happened to their side as the lack of heart is evident on the St. Andrews pitch. As the Owls look to pressure the home defence, Jeremy Helan crosses a ball into the middle only for Antonio to be caught by the offside flag - Wednesday really are struggling to get forward and look void of any creative ideas. That to me screams of a need for Rhys McCabe to get into the side, surely his creativity is more purposeful than David Prutton and his need for the long ball? A Murhpy foul on Spence sees McPhail deliver a teasing ball into the box but Spence concedes a foul on goalkeeper Randolph to quell any threat. Before the referee can bring this one sided half to a close, he flashes a yellow card to Green for unsporting behaviour. 4 goal debutant hero, Jesse Lingard. HT REVIEW: Who forecast that half-time result then? A dire outing for the Owls and a dream for Lingard and his team-mates. With a previous form of 'LWLLDLL' for City, Wednesday fans were optimistic of a point (at least!) - only to be outdone by a 20 year old debutant who has caused problems throughout... a brilliant signing for The Blues. As for Wednesday and their chances this game is already out of reach, its now about not conceding more and possibly snatching a goal to make for a more respectable scoreline. A half-time snack of 2 sausage rolls (snack-size, promise!) and a bag of mini-Ritz has me prepared for a hopefully better 2nd half. Birmingham start the second half in the hunt to add to their tally, earning a corner almost immediately - only for Nuhiu to make the clearance following Burke's delivery. A 49th minute Wednesday corner is again halted for a foul on the goalkeeper and less than a minute later, the net is rippling. No prizes for guessing the goalscorer - Lingard bagging his fourth goal after placing Burke's pass beyond the helpless Kirkland, 4-0 Birmingham City! Not content with a 4 goal lead, City press for more and would likely have scored but for clearances by McPhail, Spence and Zayatte. On the 55th minute the away side manage a shot at goal, Maghoma brought in from the cold missing to the left of target after yet another Zayatte clearance. Prutton (yes, he is still on the field!) receives a yellow card from the referee for unsporting behaviour before Zayatte clears a Burke corner. The 59th minute sees the departure of Maghoma as he is replaced by the enigmatic Jermaine Johnson amid crowd chants from the visitors of 'lets pretend we scored...3-2-1...GOAAAAAL!'. The Owls are starting to get their foot on the ball a little bit more now and are being awarded free-kicks in the 50/50 challenges (surely not sympathy from the ref??) but still offer very little going forward. In the 65th minute Dan Burn fouls Nuhiu and McPhail delivers a cross from the set-piece is bundled in by Zayatte - heading Wednesday a consolation goal. That goal breeds fresh impetus for Wednesday and they press more - shots by Helan and Reda Johnson are both blocked before McPhail clears the crossbar. The 70th minute sees the outstanding debutant Lingard replaced by Newcastle United loanee Shane Ferguson and a deserved standing ovation for the player taken off is received. A 72nd Adeyemi shot wide precedes J.Johnson testing Randolph - only for the keeper to parry away the danger. Moments later and a looping cross by Reda Johnson is cleared well by Murphy with Nuhiu about to pounce and J.Johnson's follow-up shot is blocked by Robinson. Ferguson gets his first taste of the action but his shot is wayward and moments later, 6ft 6" Nuhiu heads wide at the other end. Against the boo-boys, Dave Jones. Another 2 clearances by Zayatte see away any threat of a fifth goal as we enter the last 10 minutes before Peter Lovenkrands replaces Green. Bartley heads wide from a Murphy free-kick in the 85th minute before Roger Johnson is called upon to clear away 2 Birmingham crosses from wide. 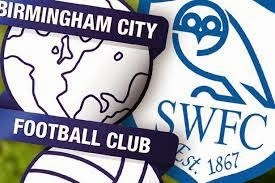 In the last action of the game, Ferguson receives a yellow card in the 93rd minute - but that doesn't take the gloss of a 4-1 hammering by Birmingham over struggling Sheffield Wednesday. FT REVIEW: As bad a game as it gets for Wednesday? Yes. Poor throughout and every player needs to go home and look themselves in the mirror. Something has to be done to address this slump quickly before the season is a write-off. 7 games into the season and we are talking like that already - goes to show how bad we really are. The answers seem easy to the fans - play players in their correct positions, Milan Mandaric needs to get the cheque book out for loans and players such as McCabe, Maguire and at a push Lavery need to be given a chance. 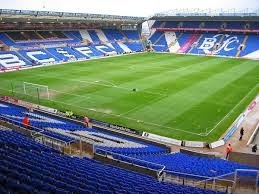 Birmingham will be happy with the result and as importantly - the performance. Their play has warranted better results of late (apart from the Burnley 3-0 loss) and boy did they get one here! 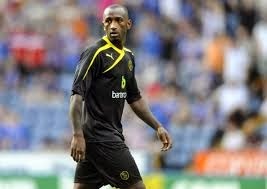 Sheffield Wednesday defender, Kamil Zayatte. 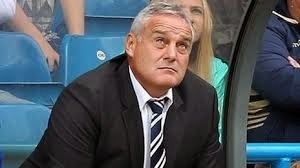 Dave Jones: "This is probably the worst performance I've seen from a Sheffield Wednesday side. The goals we gave away were hard to swallow - I can only apologise to the fans for the performance we put in. The players should go to the fans themselves and apologise. We began brightly but we then switched off - you cannot allow Lingard to get on the ball, turn and run at us. For some reason they allowed him too much scope." Lee Clarke: "I was a bit disappointed because I thought Lingard could've got five! It was fantastic for the kid but mainly for the whole team after the poor performance at Burnley last Tuesday. It is probably the best we have played this season - and last season. We just have to continue playing to this standard and we will win a lot more games."